My Tenacious Life’s Ann McConnell unexpectedly nominated me for the Sunshine Blogger Award a month ago and I couldn’t thank her enough for doing so. 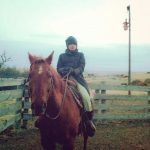 It was Thanksgiving Day when she posted it to her blog and I did not even know until I paid her website a visit two days later. 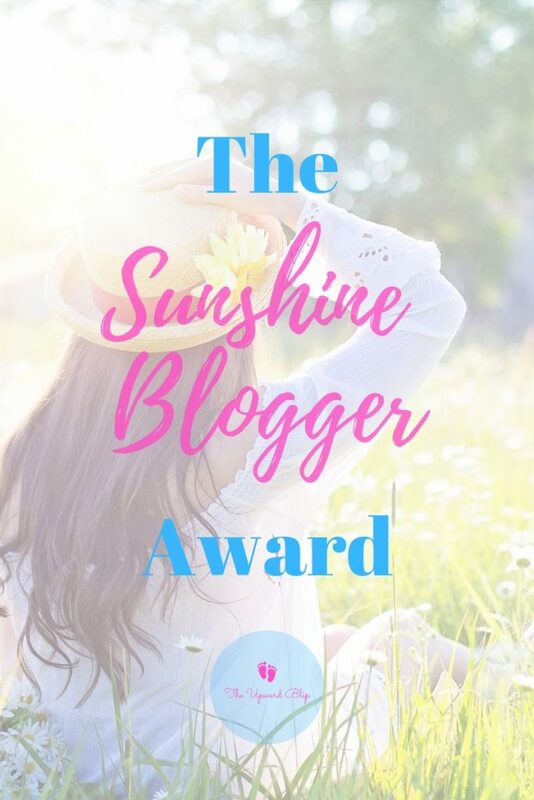 While reading her blog post about the Sunshine Blogger Award, I did a double take as I thought I saw my name and website on there! I just couldn’t believe that someone had finally recognized my efforts and quite frankly, it was one thing I was thankful for that Thanksgiving week. This Sunshine Blogger Award nomination from Ann truly brought sunshine to my day. If you are intrigued of what this all entails, I can tell you a thing or two about it. 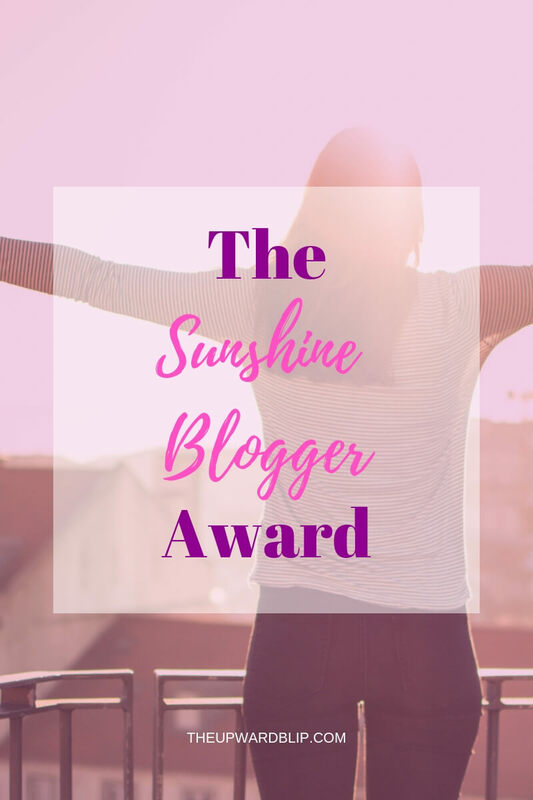 The Sunshine Blogger Award is given by bloggers to their co-bloggers who bring about an inspiring and positive vibe to everyone in the blogging society. It is one good way to acknowledge other bloggers and make connections. The Sunshine Blogger Award also gives you the chance to introduce the bloggers you personally love and follow. How hard was it for you to get started in blogging? Did you feel like quitting? I am my own worst critic. Even if writing has always been one of my passions, I am still not sold with what I am capable of as a writer. I know I have the potential, but I just lack confidence. Thus, it took me over 3 years to finally act upon the plan of starting a blog. This blogging journey is definitely not a smooth one. I struggle with content a lot. I am just glad that I have a persevering nature, so quitting is never an option for me. Do you find yourself “hyperfocusing” during blogging? If so, how do you overcome it? I wish. Hyperfocusing is reasonably a good thing for me. I can get things done quickly that way. However, with two toddlers, that is out of the equation. How challenging was it to take your blog to the next level? It is incredibly challenging. This process is going to take a little while. I am taking the “slow-and-steady” approach. It is coffee all the way for me! I am a coffee addict and I can easily consume a pot in a day. Have you taken any blogging courses to help you? If so, which ones? Yes, I took 4 free blogging courses. One from Suzi Whitford of Startamomblog.com, one from Katie of Katie Did What, another from Alex and Lauren’s of Create and Go, plus Heather and Pete Reese’s of It’s a Lovely Life. God knows how many more “free” blogging courses I took. These are just the 4 I remember. What ideas do you have to start creating your own product? I have a lot of ideas running in mind. The problem is the execution. I plan to create more printables for my readers and I intend to keep it free for them forever. I love to watch the snow falling. There is something so beautiful about it. Being out in it is another thing though. I was born and raised in a tropical country. So, it is just normal that I enjoy summer and favor it more than any other seasons. Food… Music to my ears! (Ha!) I am a voracious eater. I eat pretty much everything. I love to try out different kinds of cuisine and my favorite cuisine by far is Thai cuisine. However, my real favorite of them all is seafood. Seafood for the win! I lust for all kinds of seafood. (Just give me this please! I know it is an overstatement, but let it slide for now.) From shrimp to fish to squid. Name it, I will devour it! Are you working a full-time job in addition to blogging? If so, what is your secret to making time for blogging? Yes, I am a clinical laboratory scientist in a community hospital and making time for blogging is such a challenge. The desire to last in this blogging world is my only motivation (or my “secret sauce”) to keep going. You can read up more about my humble start here. I wrote a blog post about the story behind my website’s name too. Have you been successful with affiliate marketing? If so, what tips helped you? Not yet. Emphasis on the word “yet”! However, I am still learning. I plan to take Michelle of Making Sense of Cents‘ affiliate marketing course in the near future. How are you growing your social media presence? Why did you enter the world of blogging? What was your life’s turning point? What is your ideal day-to-day routine? What is your lifelong dream? Did you accomplish it? If you had special powers, what would it be? That is it! Thank you so much for this recognition, Ann. It brought a great deal of sunshine to my blogging journey. Nominees, I want each one of you to know that I appreciate all of you. Keep doing what you are doing. There may be millions of bloggers out there, but there is only one you! See you around everyone! Let’s lift each other up and keep this blogging world alive! Thank you for the nomination Donna! You’re most welcome, Estie! You deserve it! Love reading your post, by the way!